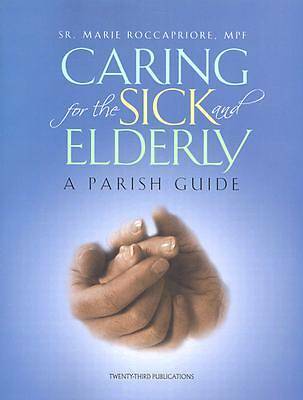 This book highlights the various ways pastoral care ministers and parish volunteers can reach out to the sick and elderly. There are a wealth of ideas here for extending spiritual, sacramental, and charitable support to parishioners who are homebound, in nursing homes, or in hospitals. For many years, Sr. Marie Roccapriore has been involved with a parish program called Project H.E.A.L.--Homebound are Encouraged through Assistance in Love. The details of this program are provided in this book, along with forms and other reproducible information that will be useful in developing this type of program in your own parish. Also included is an extensive listing of resources that are invaluable for ministry with the sick and elderly. The creative ideas offered will motivate more involvement among children as well as adults, and bring positive results among the sick and elderly recipients who eagerly look forward to the compassionate and loving care of others. Personal examples and anecdotes help illustrate the ways that even the simplest gestures of care and concern can make a world of difference in the lives of the infirm.